Gluten-free and wheat-free diets have become increasingly popular over the last 10 years. While some experts dismiss this trend as a fad, it has no sign of slowing down. I’ve had plenty of friends tell me how much better they feel on a gluten-free diet. 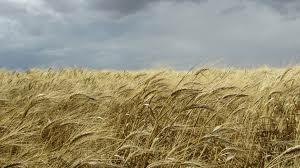 But I have also seen first-hand how some of my patients improve when they avoid wheat. Here are some of the reasons that wheat may be causing health problems. Celiac disease. This disorder is an autoimmune-type reaction to gluten, the protein component of wheat. Gluten is also found in barley, rye, and spelt. When a person with celiac disease eats gluten and starts to digest it, their immune system reacts against the cells lining their intestine. Symptoms include pain, bloating, diarrhea, weight loss, rashes, joint pain, infertility, and a variety of other health problems. Celiac disease can develop at any age. Eosinophilic esophagitis (EoE) . EoE is another allergy-related condition which I often describe as “eczema of the esophagus.” Usually set off by food, EoE causes inflammation which is worst where the esophagus meets the top of the stomach. It often causes pain in that area, as well as reflux symptoms and nausea. Wheat is one of the top 4 triggers of EoE. Fructan malabsorption. Fructans are a type of carbohydrate found in wheat and many other foods. However, we don’t have enzymes to efficiently process them. Instead, our intestinal bacteria digest the fructans for us. This process produces gas and other substances which cause GI distress in those who are sensitive to them. Amylase-trypsin inhibitor sensitivity. Amylase-tryptase inhibitors (ATI) are natural substances which protect plants against pests and parasites by inhibiting their digestive enzymes. In the U.S., breeding of pest-resistant wheat varieties has led to an increased amount of ATI in our wheat supply. In some people, the ATI can activate immune cells and possibly worsen any pre-existing inflammation. 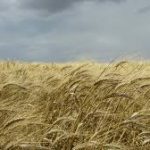 Older wheat strains, like Einkorn and Emmer wheat, have low levels of ATI, so wheat-sensitive people may tolerate them better. Non-celiac gluten/wheat sensitivity (NCGS/NCWS). This condition is not well-understood, but it appears to be more common in people who have genes conferring susceptibility to celiac disease. Some people diagnosed with NCGS/NCWS, though, might actually have one of the other conditions on this list. As research continues and our understanding of dietary sensitivities improves, there may be additional factors to add to this list. I will continue to update the page as new information comes along. Rebecca Cherry, MD, is an expert in pediatric digestive disorders and nutrition at Pediatric Specialty Partners in San Diego. To schedule a consultation, contact the office through the website or by phone at 858-625-0809.